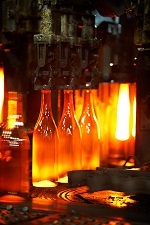 The scheme managers for the Glass Packaging Forum are ending the week on a high with the Forum’s voluntary product stewardship scheme having been officially re-accredited for another seven years. The Associate Minister for the Environment Hon Eugenie Sage made the announcement in Auckland today, much to the delight of scheme managers 3R Group. 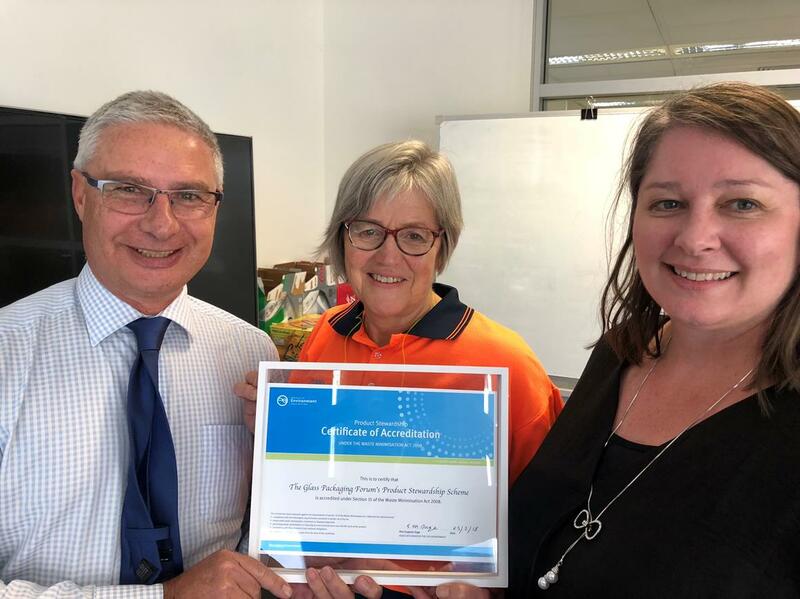 Glass Packaging Forum Steering Committee Chair Rob Lanfgord, left, Associate Minister for the Environment Eugenie Sage and Adele Rose, Chief Executive of the scheme managers 3R Group. with the certificate of accreditation for the Forum's product stewardship scheme. 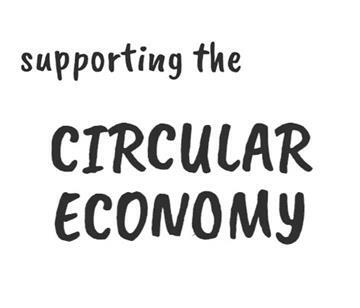 The Minister went beyond simply granting re-accreditation and elaborated on her impressions of the scheme as a "showcase of the circular economy in action". She also pointed out that the scheme makes an important contribution to waste minimisation as well as helping to reduce CO2 emissions. 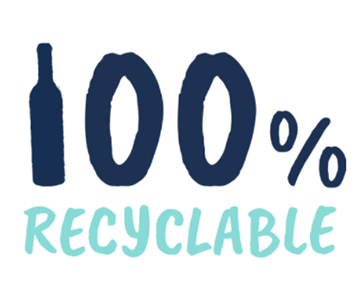 Using recycled glass in the manufacture of new bottles and jars requires less energy and reduces the need for virgin materials. 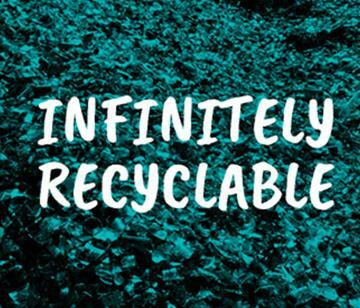 In 2017, the average recycled glass content for New Zealand’s only glass bottle and jar manufacturer O-I NZ was 69%. The Forum is delighted to have its work recognised in such a way. One of the most significant points Minister Sage made in her re-accreditation letter was that the scheme supports New Zealand’s commitment to Goal 12 of the United Nations Sustainable Development Goals. 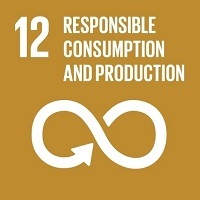 Goal 12 being Responsible Consumption and Production. Not only is this a great endorsement of the scheme, but also a very rare reference to the goals by a Minister, and further proof of the new sustainability-focussed approach of this Government. It goes without saying that the success of the scheme is largely down to all the members and their support. We encourage you to share this success and celebrate the part you play in it. A quick reminder that our new funding round for grant applications is open until the end of the month. To find out more about the grants and to make an application visit the Forum's website.